The Sonoma County Winegrowers, Sonoma County Farm Bureau, California Association of Winegrape Growers, and Michael Saqui of The Saqui Law Group Counselors to Management are sponsoring a workshop for grape growers, wineries and agricultural employers on Farm Labor and Vineyard Management: The Risks and Rewards of Doing it Right. 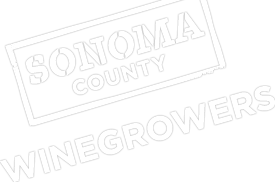 The workshop will be held on Thursday, May 16, at the Wine Country Hilton, 3555 Round Barn Blvd., Santa Rosa. The seminar kicks off with a Legislative Update by John Aguirre, president of California Association of Winegrape Growers. There is no cost to attend with advance registration. RSVP by May 13. This seminar—in English—covers the latest court decisions and enforcement trends in the area of AB1675 with regards to violations, fines and penalties, joint employer liability, wage and hour, and employment in immigration cases throughout the U.S.
Saqui will review options for staffing solutions whether they be independent contractors, farm labor contractors or staffing companies. Most of all, this seminar will cover compliance and operational game plans to operate effectively in this area without exposure to joint employer liability. For information contact Karen at 707-522-5862 or [email protected].